Disney/Pixar’s “Incredible 2” took in an estimated $US180 million. That’s the best opening ever for an animated release. It passed 2016’s “Finding Dory” ($US135 million). 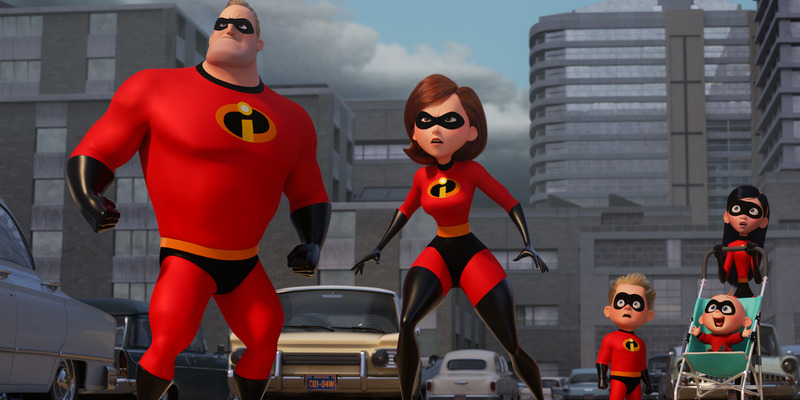 Pixar – and the superhero Parr family – has put Disney back on top. And like “Dory,” which was released 13 years after its original, “Finding Nemo,” the long wait for a sequel to “Incredibles” didn’t hurt mass audience interest. Fourteen years after the original “Incredibles,” the movie sucked up all the box office this weekend, attracting not just kids (many who weren’t around for the opening of the original movie), but their parents as well. “Incredibles 2” also beat “Finding Dory” to become the second-biggest opening of all time in the month of June (behind the $US208.8 million by 2015’s “Jurassic World”). The movie’s $US71.5 million opening day tally on Friday (including a record-breaking $US18.5 million in Thursday preview screenings) also shattered the best single day at the box office for an animated movie, again passing “Finding Dory” ($US54.7 million). The summer movie season will potentially continue to bring in more major coin next weekend with Universal’s “Jurassic World: Fallen Kingdom” hits theatres domestically. The movie has already had an impressive overseas run, having made $US300 million so far, topped by an impressive opening this weekend in China.